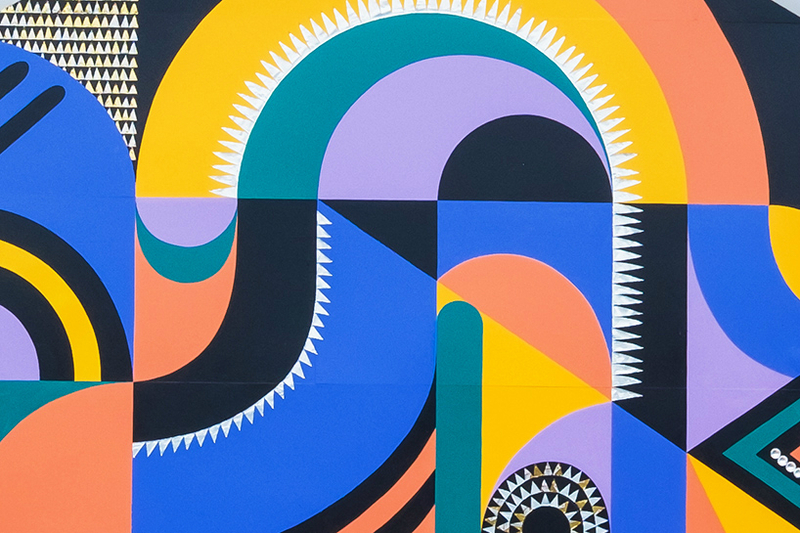 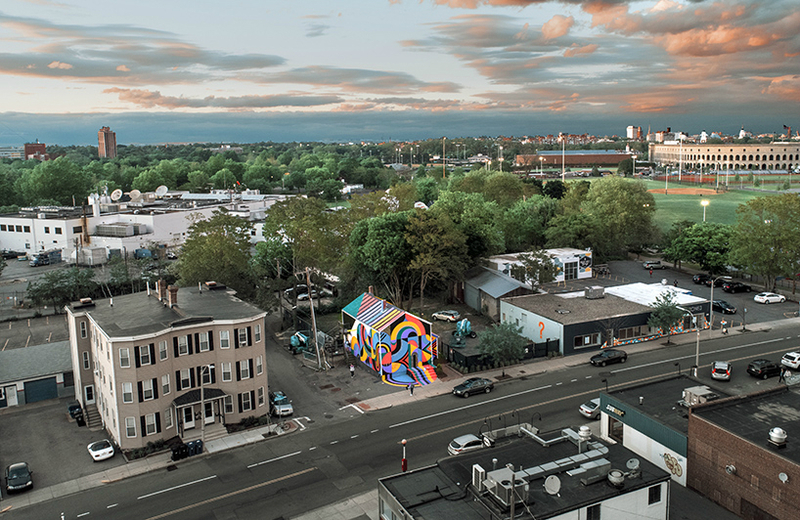 Jessie + Katey are known for creating large-scale public murals that look to engage the public with their socially active art. 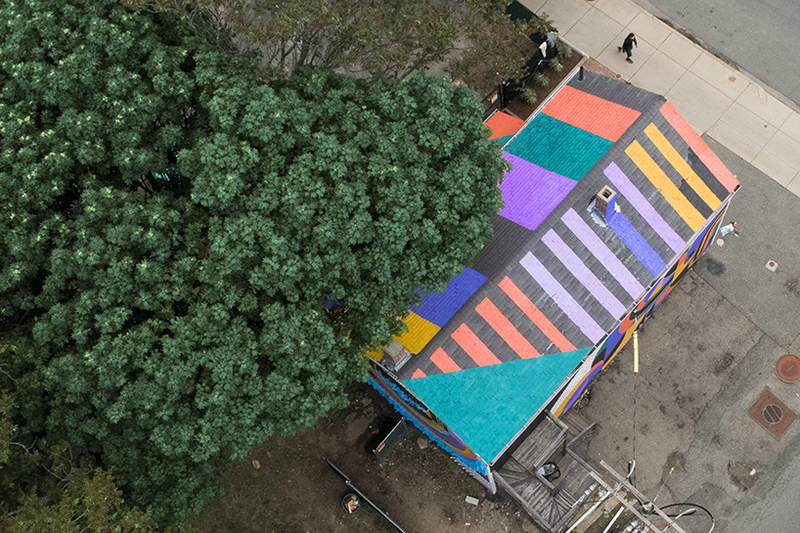 The entire building’s facade is painted with bold colors and sweeping patterns that curve around the edges, along with recycled materials like beer cans and bottle caps attached to the walls. 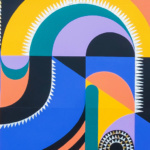 The pair also held community events where the public was invited to create their own screen prints, which were eventually inscribed onto the walls. 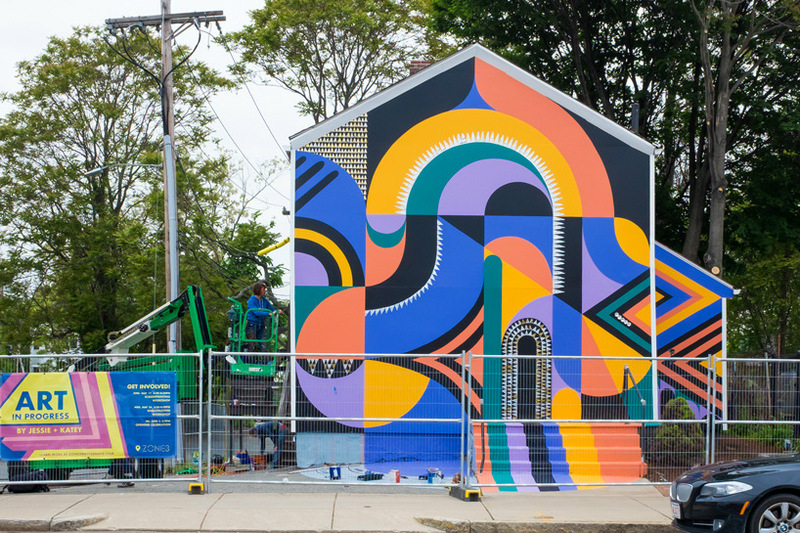 It took them nearly one month to complete the mural, which explores themes of movement and symmetry. 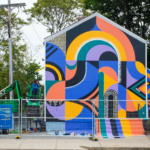 The two artists have been creating colorful murals since 2011 and have been making an impression on the East Coast. 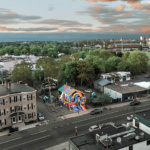 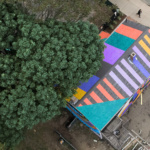 Two years ago they were selected for the New York Department of Transportation’s 191st Tunnel Beautification Project and that same year they worked with Philadelphia’s Murals Arts Program when creating the 400-foot-long mural pop-up park: “Summer Kaleidoscope.” In addition to this, Unterhalter and Truhn have residencies with The Albright Knox Museum in Buffalo, New York, The Farnsworth Museum in Rockland, Maine and the John Micheal Kohler Art Center in Sheboygan, Wisconsin.